The leading dish antenna maker Nucleus Satellite Communications Madras’ revenue has doubled in FY 2018. The company manufactures dish antennas for direct to home (DTH) operators. Airtel fiber to the home setup in chennai. 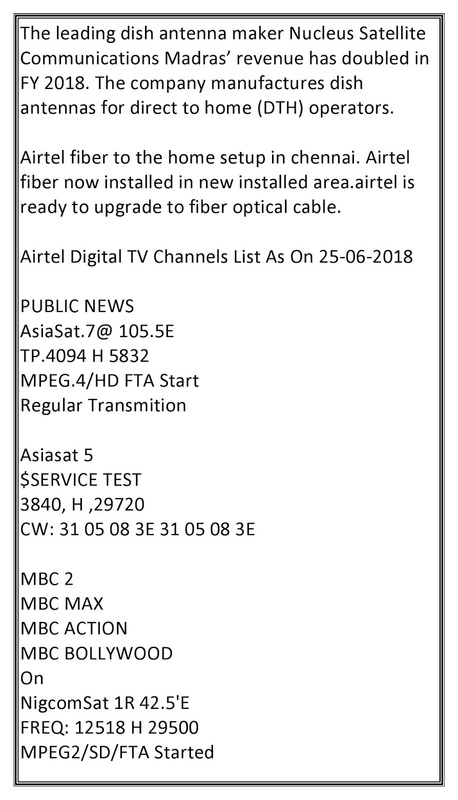 Airtel fiber now installed in new installed area.airtel is ready to upgrade to fiber optical cable.